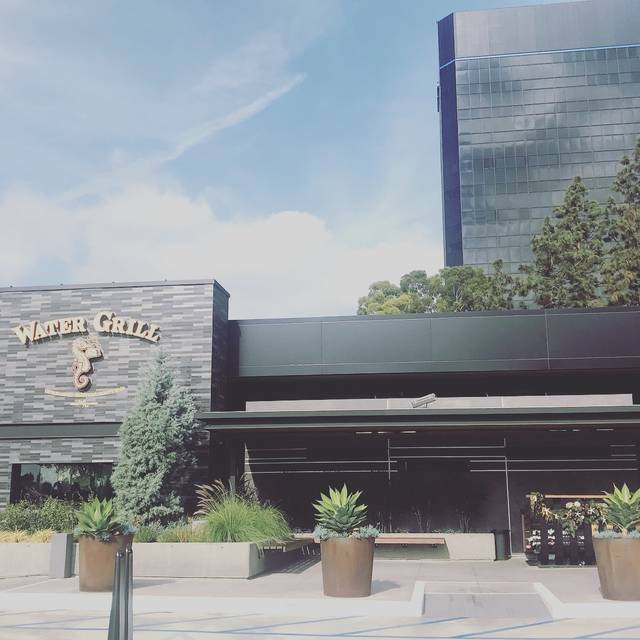 Water Grill is steps away from the Segerstrom Center for the Arts, and a just quick stroll across a scenic footbridge from the world renowned South Coast Plaza. The restaurant’s multiple event spaces provide the ideal setting for intimate celebrations, business gatherings, large parties and charity events. Deluxe accommodations are available for any occasion- from groups of 5 to parties of 500, and everything in between. Submit an inquiry now to start planning a truly exceptional experience for you and your guests! Lovely lunch before a matinee at Segerstrom. Excellent food and Alex gave us excellent service. Always enjoyable. Our food was awesome. Had the stone crabs and a seafood appetizer. Then salad and the main course. All was wonderful. The only downfall was the service. The waitress asked if we needed anything after the food was brought to us by a runner. I asked her for more mustard sauce and it never came. In fact, she never came back to our table until we were ready to leave. It’s a shame with the nice atmosphere and the wonderful food that the service didn’t hold up. The seafood tower that we order looks good but it was not fresh at all ( it cost $90). No taste on the crab and lobster , one mussel has really bad taste - spoiled and the shells of 3 other mussels was not even opened yet (spoiled??). Service attendant was busy all the time, we can’t catch him. We need to wait until he come by. I love this resaturant and the nice vibe it has. Staff is very friendly, food is on point and the atmosphere can range from casual to fancy. A bit pricy but worth it. Everything about our experience was first class. Looking forward to going back. 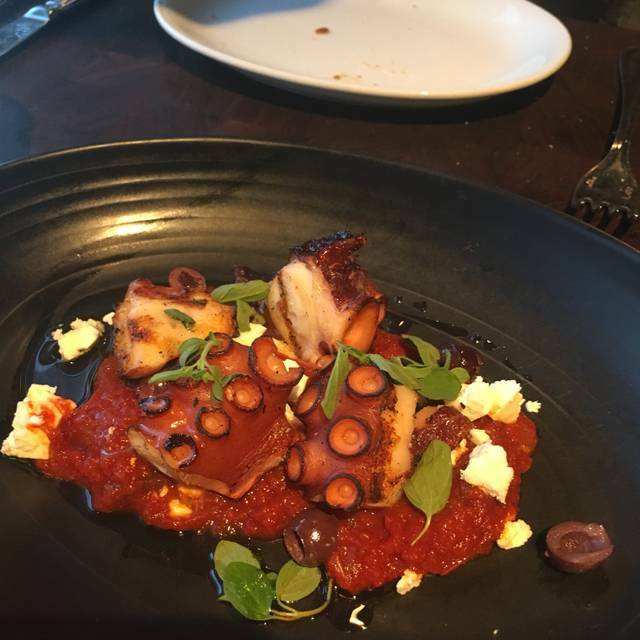 Excellent service and outstanding menu selections .Seth our waiter was knowledgeable about the various selections and very attentive to our needs. The evening was outstanding (we took 3 hrs for dinner) and the food and presentation was phenomenal . Our server was really wonderful throughout the meal, until the end. We wanted to order another drink and desert, but she totally disappeared. We then realized after about 15 min we would be late if we waited any longer for our show at the theater. We actually had to ask another server to bring us our check. Always a great experience and the food quality is amazing. The crab cakes are a must! This restaurant is excellent!!!! Amazing place! I definitely will be returning next time I’m in town. the service was excellent , our only disappointment was our table , the sun was so bright that for 80% of the time I couldn't see my guests face with out shielding my face. I should have asked to be reseated . it was too noisy, they brought a wrong wine and overcharged us for the wine. The seabass was too dry. When the waitress asked how is the food and I said it is too dry she did not say anything and left, also when I told her that the wine tastes too bold, she did not attempt to change it, and later when we saw the bill we were overcharge twice as much since she brough the wrong one and did not adjust our bill. It was also our anniversary and nothing extra was offered even if they knew it, typically they bring a small dessert for special occasions and did not offer anything. For sure it is overpriced for the quality and the service was poor. Service was above and beyond. Food was outstanding. However, I will caution my recommendation with the high prices & cost of the valet. Never fails to exceed expectations from quality of service to food! Looking forward to our next visit. 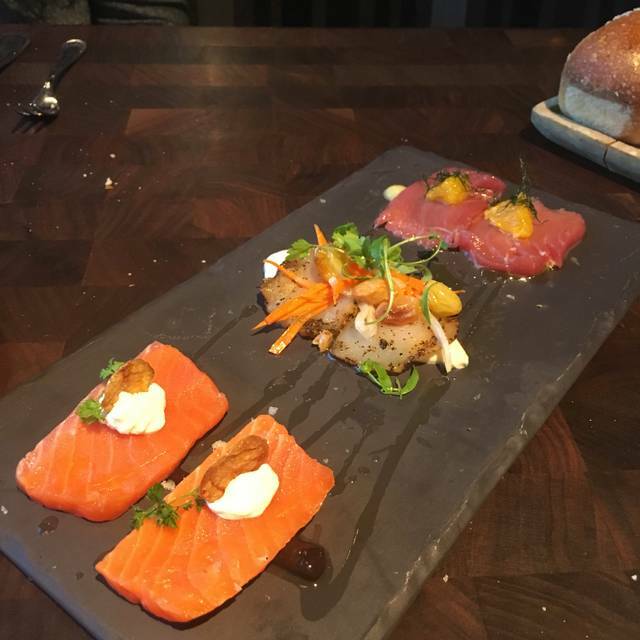 Service was impeccable and the food was flavorful and prepared perfectly. One of the most attractive restaurants in Orange County. Superb service, great food and wine selections. Sat on the patio for brunch and had an amazing time. 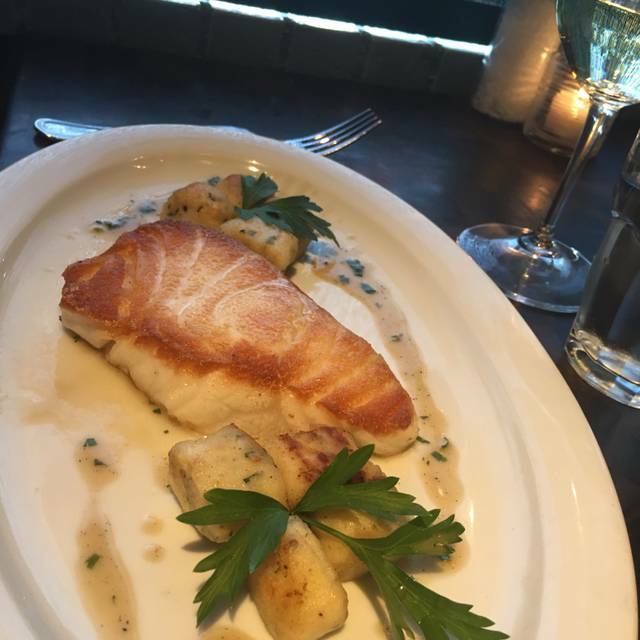 We love water grille and frequently eat there at the bar with a full menu. This last time was disappointing because a female server dropped off our 2 dozen oysters first without a single word or greeting, did not explain the order and type of oysters. Then we had more dishes delivered by another server perfectly greeting us. The dessert was served by same rude server without a word, smile or acknowledgement. We felt it was terribly rude ! We had a 630 pm reservation and was not seated until 645 pm. Chilled shellfish appetizer came out fast but had to wait over 40 minutes until our entrees. We almost missed our show. Not happy with kitchen. Server was nice and tried hard to get our food. Came here before attending a show at Segerstrom. 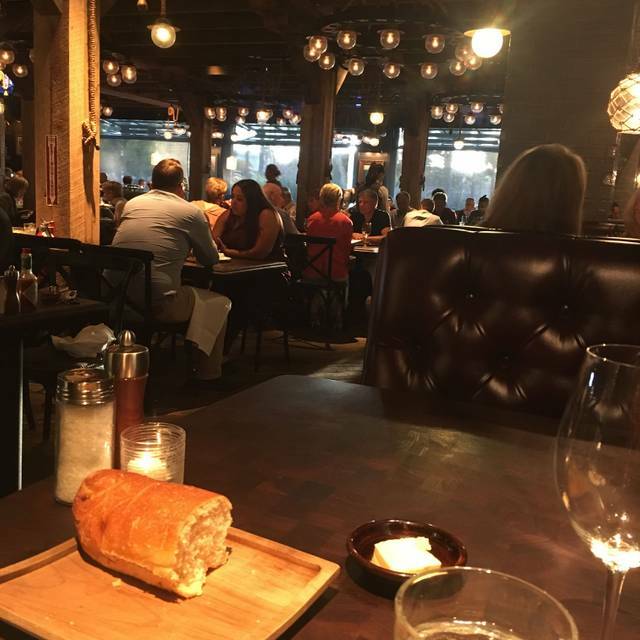 Great atmosphere, good food. Ver convenient, valet park, have dinner and walk to the theater. A bit pricey but still a great place! This is a beautiful restaurant with delicious food and excellent service. 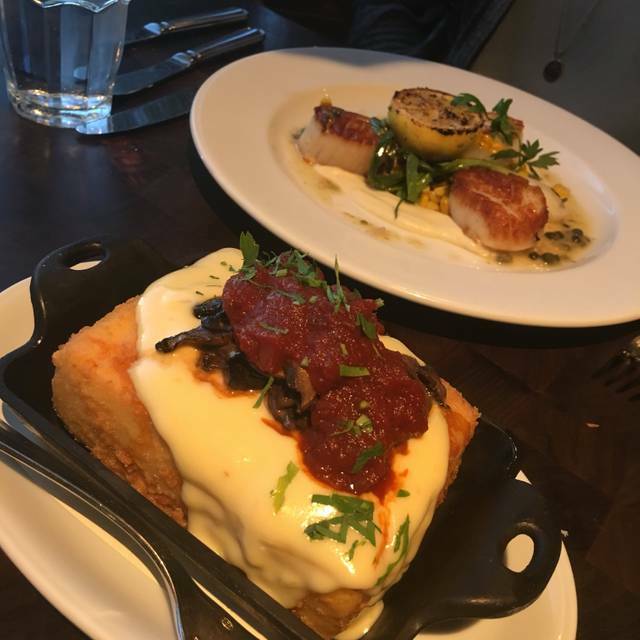 We had the Cioppino and the Chilean Sea Bass, both of which were wonderful. 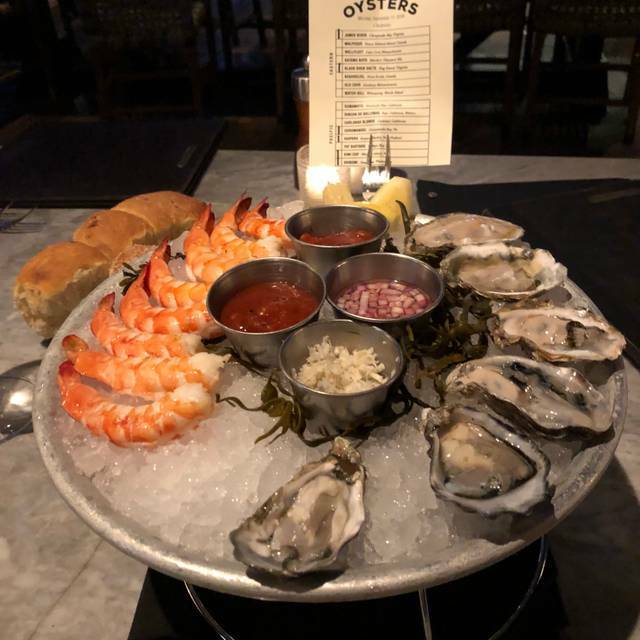 My husband also tried the Oyster Sampler and enjoyed that as well. We were so impressed by our server (I wish I recalled his name); we told him that our two sides didn't come out (a food runner brought us our entrees and we assumed she would be returning with the sides) and he was just beside himself. We told him it was totally ok and that we were full anyway so it worked out. In less than 5 minutes, the manager came to our table to personally apologize for the oversight. We were just very much impressed at how word of a couple sides not coming out made it to the manager and that she personally responded so quickly. It is that kind of service and accountability that we like to see in any establishment, and it left us with a totally satisfied dining experience. We will definitely return to enjoy more from their menu. Fantastic place. Food was amazing with perfect portion sizes. Drinks were outstanding. Niles, our waiter, was a rockstar. Seriously one of the best waiters we’ve had anywhere ever. Excellent seafood, grilled shrimps was tasty, fresh, sweet and tender. We stopped for lunch. 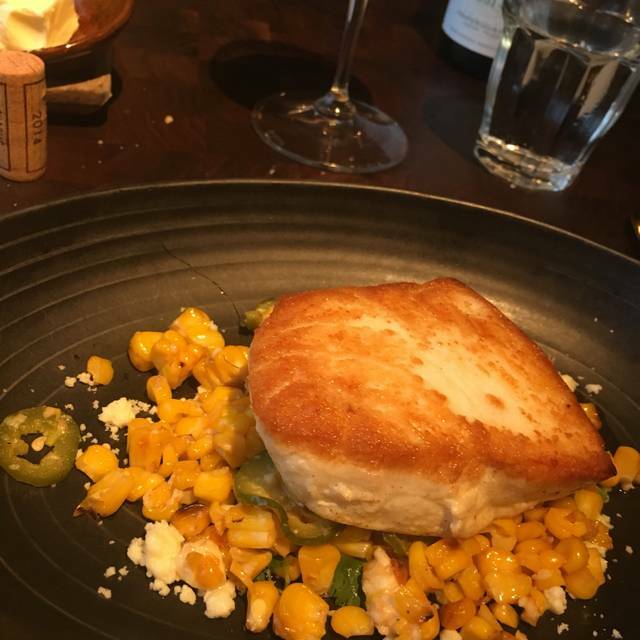 Ordered the Alaskan Halibut. So fresh. Perfectly roasted. Impeccable service. The only negative is that it's a LOUD restaurant. The conversation at the tables near us were amplified so it felt as if they were conversing at our table. Great service by Stephanie ! We love Water Grille! Food, drinks and service are always on point. Never disappointed! Had a wonderful dinner of the Black Cod with Soba Noodles. Delicious. Shared a Lobster Roll, with Butter, and was the best I've had since I was on the East Coast. Excellent Service, friendly staff. I plan to return with more of my friends. A bit expensive. Food was excellent. Service extremely good. Been here several times and my son loves the seafood tower. So he asked to go to Water Grill for his 16th birthday dinner. Food was great as always but nothing special whatsoever was done or acknowledged for my son. I even clicked the special occasion and made the note when I made reservations. When we arrived, the lady at the receiving desk made a comment “I see you are celebrating a special occasion, so i figured they got the memo... Super disappointed. Best King Crab legs I've had and I've had a lot. Everything about this place including their drinks are just beyond delish and fresh. Extremely knowledgeable and nice server. My mother's 80th birthday celebration. Was a great experience. Love this Water Grill location. Ambiance and indoor/outdoor setting is perfect. Service was 2nd to none. Raw bar selections were fresh and tasty. 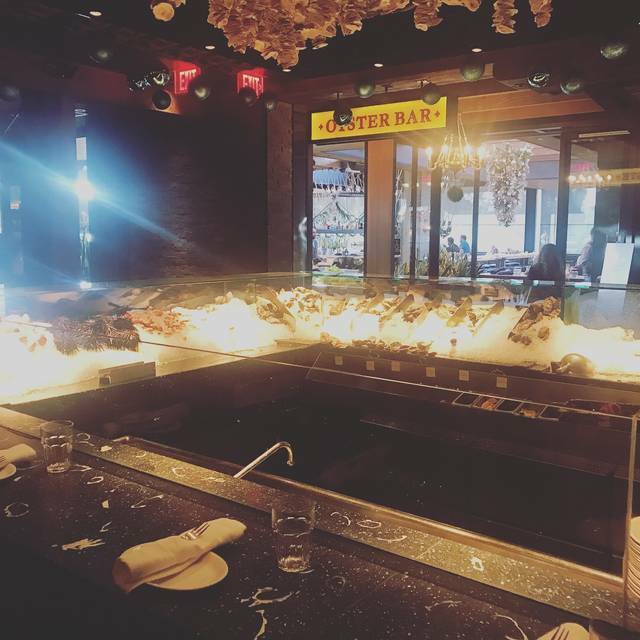 Love love the raw bar. Cooked fish and other cooked items are over seasoned and over buttered but I realize that's personal and some love it server like that. To me, a fresh piece of fish doesn't need to be so overwhelmed with seasoning where you can hardly taste the fish. Takes away from the seafood experience, in my opinion. Regardless, we very enjoyed our time at Water Grill and will be back.